Last week I spent the week in Carlisle with my boyfriend and Elodie. It was a bit of a last minute trip, but it was really lovely. I've only ever been to Carlisle once before, and that was for a football match, so I've never really seen much of the city... it really is a beautiful place. We travelled up on the train, and it was a surprisingly nice journey; Elodie loves the train - she gets so excited! There was a lot of sight seeing, eating out and shopping and Elodie even managed to squeeze in her first trip to the cinema (to see Monster's University) and got herself a little hair cut. On our last night we had a lovely meal at a new American style Diner which has opened called Vibe... I'm a sucker for that kind of food, and it was really, really nice - so if you're ever in the area, I'd really recommend it. 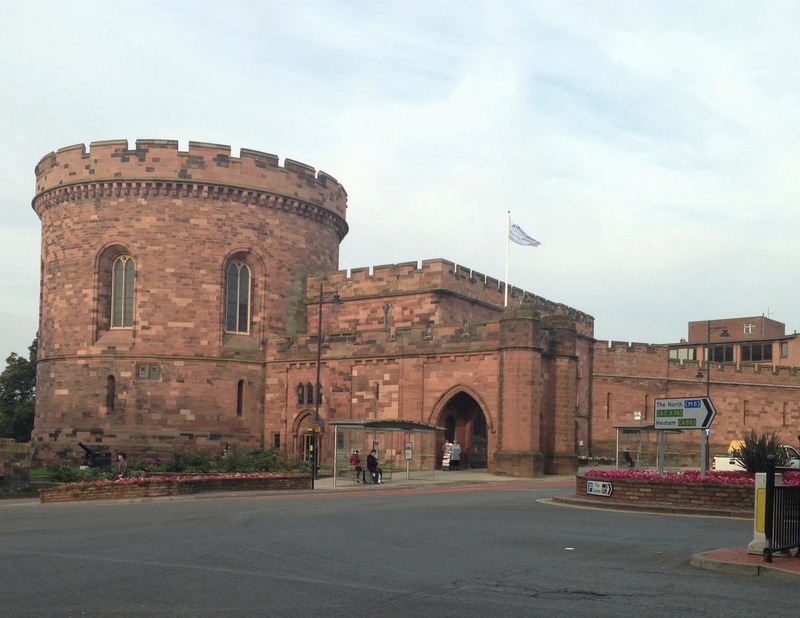 If you're interested in architecture, history and culture, you will love Carlisle... I wouldn't say I was overly 'into' that kind of thing, but I constantly found myself admiring buildings and taking photos that I would never usually take. Let me know if you'd like to see more of these lifestyle/day's out kind of posts... I quite enjoy writing them! I love the little American flag in the fries, haha! I'm not overly into sight seeing until I'm actually out and see all the magnificent buildings and shops! I really like these types of posts from you :) It sounds like you had a lovely day!